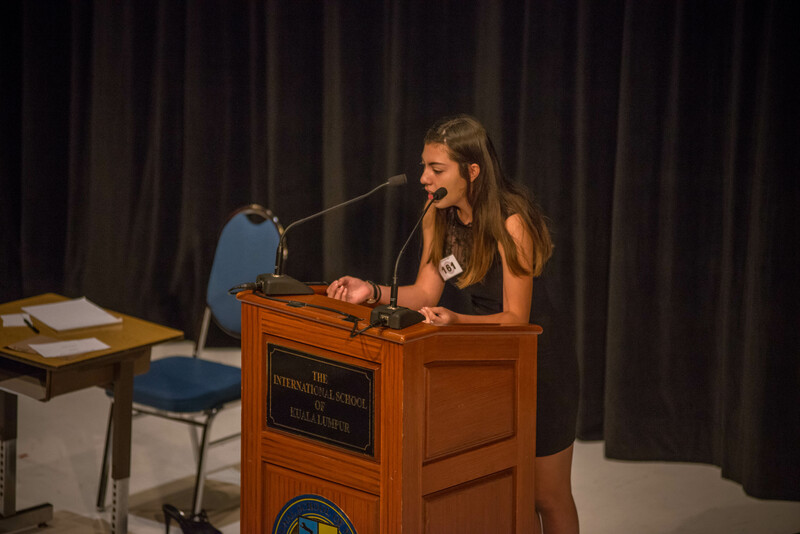 With around 12 schools participating in this extensive event, and 160-170 accomplished students in total, this makes Forensics a substantial event that is bigger than any IASAS event hosted by our school. So exactly what is SEA Forensics? Forensics consists of 5 different and mentally exhausting events. The first, impromptu, is considered to be one of the more challenging events. Even though the beforehand preparation is not very strenuous; it requires you to have a developed ‘thinking on the spot’ skill. Each student gets a word or phrase, and they have 1 minute to write a 5 minute speech. The next two, Original Oratory and Oral Interpretation have similar tasks. Both require you to read a piece of writing. However, OI asks you to read an excerpt from a piece of literature, whereas in OO you have to write a completely original piece of writing and read it. When reading both of them, you are not allowed to make many movements, but instead convey the writing to the best of your ability using your voice and facial expressions. Debate is a very aggressive event. It is one of the only events that “is based around teamwork, collaboration and the opportunity demonstrate how much you have prepared.” Taha, ’20. You are given a topic one hour before the debate, and have to put all your focus onto it to know the topic back to front. Acting, both solo and duet, require students to take a script from an already written piece of work, and incorporate acting, voice and emotion into it. In doing so, they also add a bit of their own creativity and enhance the monologue slightly. Acting may sound simple, but most of the monologues last for 9 minutes, requiring a lot of dedication to remember 9 minutes of lines and acting. One of this years organisers, Ms. Podorsek would like to see more support for SEA Forensics from ISKL students. Taha also agrees, stating that although Forensics seems as if it doesn’t have as much ‘hype’ as IASAS for our students, most of the other schools use this event as a major opportunity to showcase their talents. “It was amazing to see how the whole theatre would erupt, so like from St. John’s, if someone got a bronze medal, the whole section would stand up and start screaming,” says Ms. Podorsek.